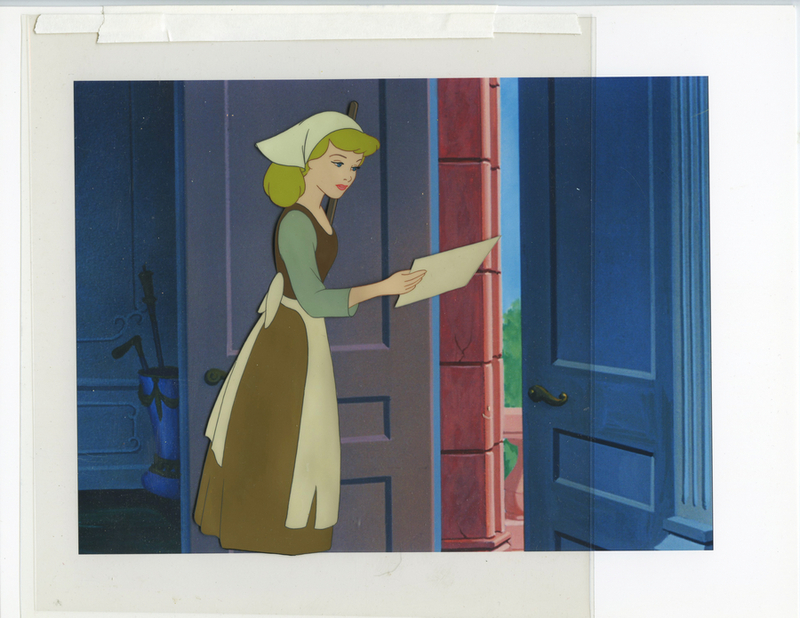 This is a stunningly rare original production cel from the Walt Disney Studios production of Cinderella (1950). 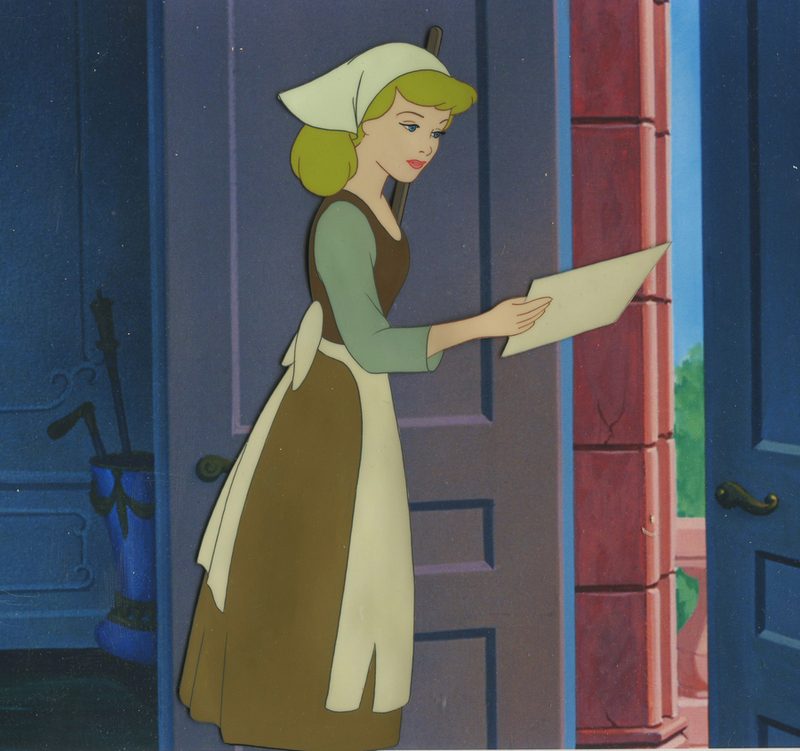 This hand-painted cel features Cinderella holding the invitation to the royal ball as she received it at the doorway from the harald, and was created at the studio and used during the production of the film, as it was filmed over a production background and represents a frame of animation seen in the final film. The cel is paired with a color printed reproduction background from the matching scene in the film. 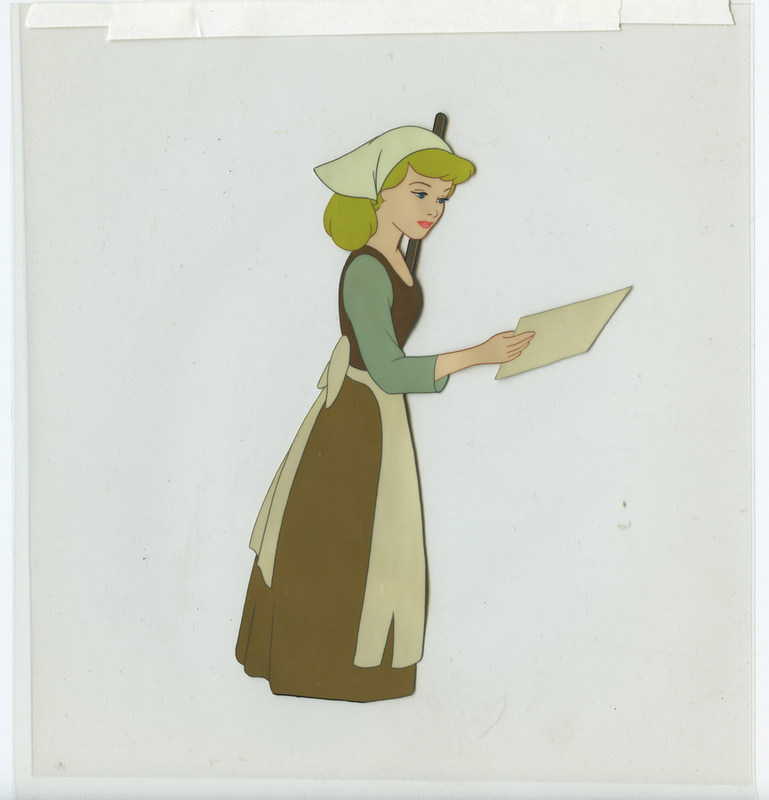 The overall measurements of the trimmed cel are 8.25" x 7.75" and the image itself measures 6.25" x 4.25". 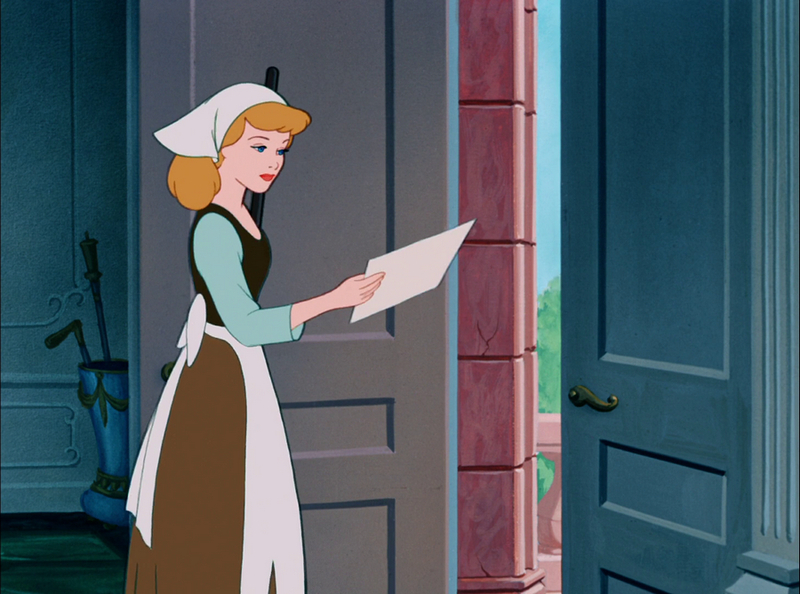 The final image shown is a screen capture from the scene in the film as reference of where the actual cel appears in the final film, it is not a physical print.